399 N. Euclid Avenue at McPherson Ave. in the city’s historic Central West End. What Lasts Is The Breath, Black Swan Editions, 2013. 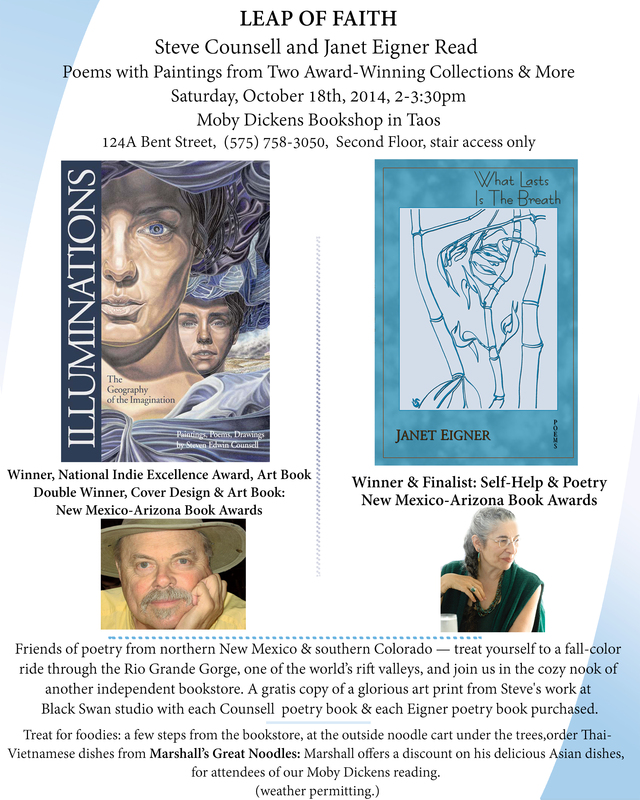 Finalist and Winner in the New Mexico-Arizona Book Awards. The book is a ten-year-long elegy for a daughter, a multicultural spiritual journey through grief, a search for gifts of comfort and ethnic understandings. bittersweet wisdom and regeneration, a step forward into the stream of life. One of its poems, “Isaac’s Blessing” was posted on American Life in Poetry, Poetry Foundation website, for a week in April 2012. 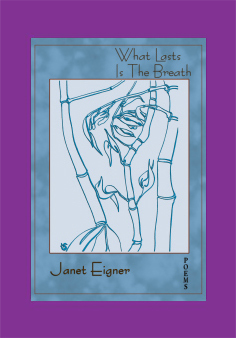 The book is recommended by and for grief and hospice counselors, mental health professionals. Clergy, and those who have suffered the loss of a loved one. 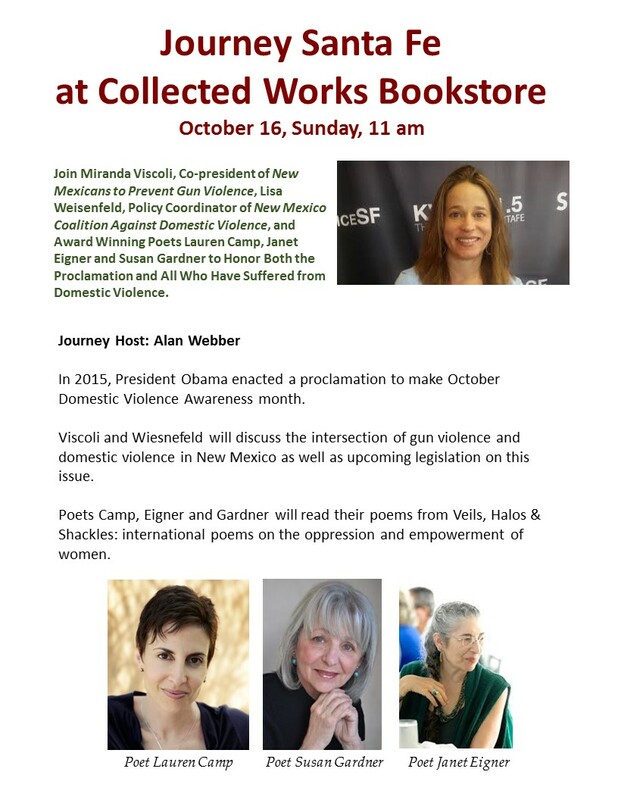 Janet is the featured reader at Adobe Walls evenings, April 8th, at Page One Books, 7 to 9 p.m., Albuquerque, 11018 Montgomery NE. Listen to Janet along with the the first installment of the Wednesday Afternoon Poets, Elizabeth Raby and Linda Whittenberg on Animal Talk Radio, KSFR-FM, 101.1, Friday, March 21st and Friday, April 4th poems about joy and sorrows with domesticated and wild animals. The other three Wednesday Afternoon poets, Judith Toler, Blair Cooper and Jane Lipman, read their poems on Animal Talk also. The Wednesday Afternoon Poets read again at the Unitarian Church Sunday, April 27th, 3pm. Janet is available to present a 90 minute workshop, Circle of Love, to grief groups, especially those parents who have lost children. She combines sharing her poems from the unfolding stages of grief to recovery, with inviting the participants to share a story, poem, prayer, joke, or whatever helped them at different stages of mourning the loss of their loved one. 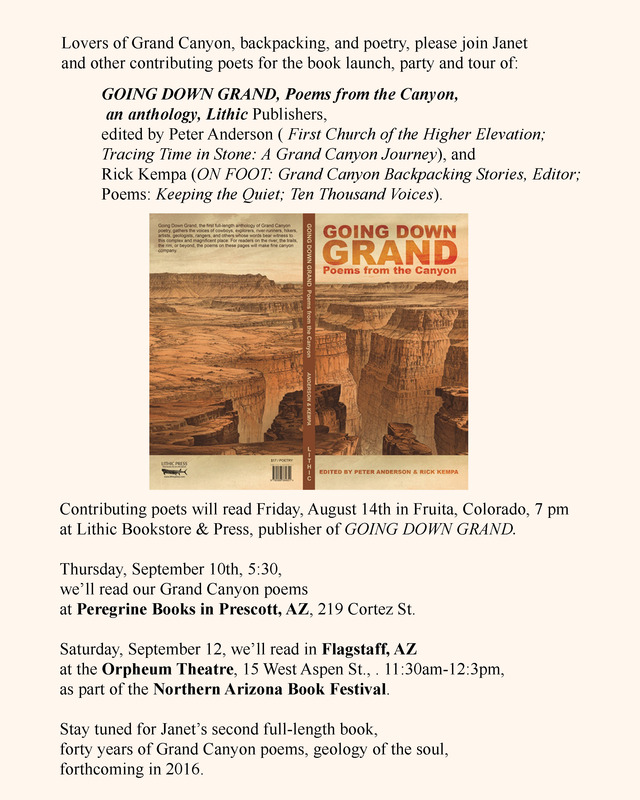 Eldorado at Santa Fe, 7 Caliente Road, Building B.
Poets will read on both dates. The quilt show opens at 4 pm. Poets will read from 6pm to 7pm each night. Make an evening of this event. Have dinner at LaPlancha, a casual Latin grill located in the building directly east of the exhibit area in the same complex. The restaurant begins serving at 4pm. There’s plenty of parking. Call for reservations: 466-2060. Directions to La Tienda: I-25 off at 290 ramp, right toward 285, pass the first light entrance, go to second light, turn right into Eldorado onto Avenida Vista Grande, turn left off Avenida Vista Grande into La Tienda Shopping area. hello, janet! 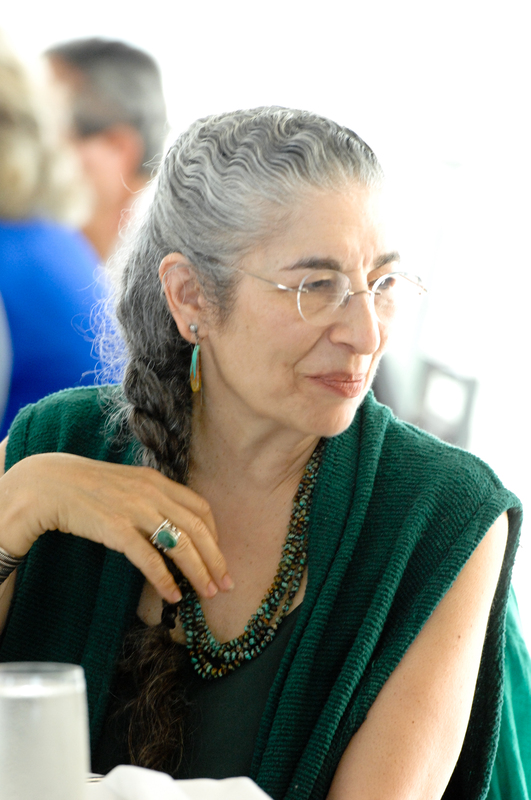 Clare Kinberg just recommended is to meet– i am lia rosen, artist-potter-teacher and creative jewish teacher and celebrator in Santa Fe (and wannabe poet :-)!